Knowing your buying power is a huge advantage in the offer and negotiation process. Many properties are now seeing multiple offers and many sellers require proof of funds, pre-qualification or pre-approval. It is important to know the difference. When it comes to securing financing for your future home, these terms are far from interchangeable. 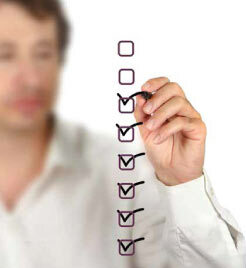 To be pre-qualified, you simply inform a lender of your credit status, income, assets and existing debt. Based on that information, a lender will provide an estimate of the type of financing they will provide. However, because this is based primarily on your word alone, this does not mean as much to a potential seller. In addition the lender is under no requirement to honor the estimate they provided. 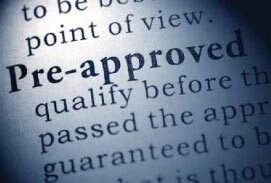 To be pre-approved, you provide a potential lender with the same information as you would to be pre-qualified. The lender verifies this information before providing an estimate of how much financing they will provide. The pre-approval process may require a fee, but, because your financing has been verified, it will make a difference when you make an offer. Our partnership with HomeServices Lending of Georgia provides you with a wide range of home financing programs and products including conventional conforming, FHA and VA loans, larger loan amounts, investment property financing and renovation loans. We will be with you during every step of your home finance process. We would be happy to introduce you to one of our loan officers. Searching for your dream home is a very exciting experience but can also be emotional and sometimes very confusing process. It is very common for the parties involved to find themselves attracted to different properties or attributes of properties during the process. It is important to remember your original goals and objectives to stay focused and use your time wisely. It is important to understand the latest market trends for the area you are searching. Real estate is local and markets can be very different. For example, if desirable homes in that area are getting multiple offers, you may miss the home of your dreams by making a low offer. If there is an oversupply of desirable inventory, you can be more aggressive. You agent can guide you on the best strategy to achieve your desired objectives. As part of the process, you should consider how long you expect to live in the desired home. How are things likely to change for that house and the local community during that time frame? What are the factors that could impact the cost of ownership, lifestyle and resale prospects for that property? Considering the factors may help you negotiate the best terms and avoid surprises. But remember that homes are where memories are made and over-analyzing can lead to missed opportunities. Imagine the lifestyle that a potential home will offer and trust your instincts to make the right decision.